Tagged under Game of Thrones, Gray Eyes, Red Hair, Long Hair, Waifu. Melisandre is a mysterious woman from Asshai, who arrives in Westeros to preach faith in the Red God and recruit followers. She assists Stannis Baratheon in his quest to take the Iron Throne after the death of his brother, Robert. 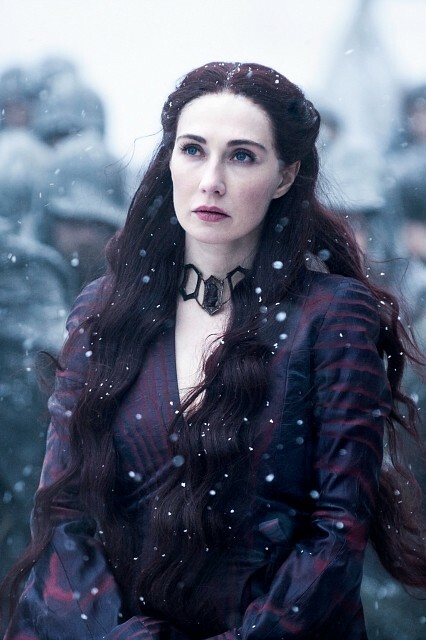 While appearing unwavering in her faith and strongly supporting Stannis's claim to the Throne, Melisandre has moments when she admits her belief is not as strong as it appears, in spite of witnessing concrete proof of the supernatural. Stannis himself has utmost faith in Melisandre, although a number of his subjects — especially Ser Davos Seaworth — are cautious to trust her prophecies and even openly admit they don't. Melisandre is also known as "The Red Woman" thanks to her red hair and red clothes.